We use the very best fresh young coconuts and no processing is required. 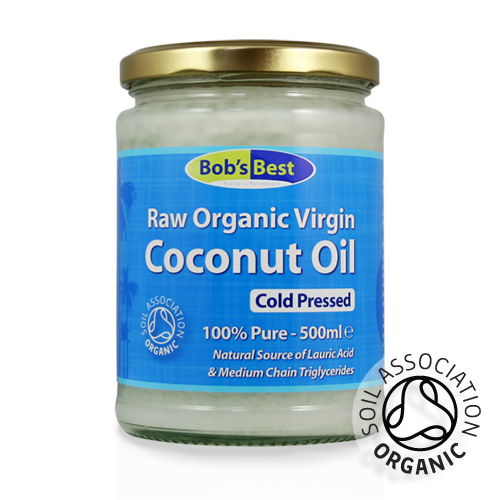 Chemical free cold press extraction allows our coconut oil to remain as it should be, 100% raw and pure. Coconut Oil is Versatile and Nutritious! Use as a direct substitute for other oils. 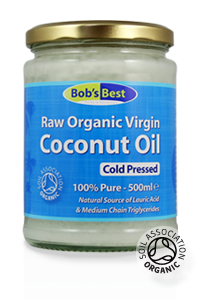 Coconut oil is safe for high temperature cooking and suitable for frying and roasting. Try using it to roast potatoes. Add to your favourite drinks including tea, coffee and smoothies. Not only useful in the kitchen - Coconut oil is a great moisturiser for both body and hair. Apply directly to the skin to leave feeling soft, rehydrated and moisturised. Use as a great natural alternative to makeup remover, as natural massage oil or for oil pulling. Keep lid tightly sealed and store in a cool place away from direct sunlight. Coconut oil will turn into a liquid above 22 ℃. None - Coconut is a member of the palm family and is botanically different from tree nuts. If unsure consult your allergist before consumption.
" I Have tasted a few different vco's even the one that seems to get all the awards, Bobbys is by far the better tasting by a mile in my opinion!. ALso very competitive in price for a full 500ml jar that comes to you within 2days!. "I've just received this today and I haven't tasted it yet but I also use it as a moisturiser and it is......divine! I love it. I usually buy Biona but I will get this one from now on. Thanks Bobby's! :-)"